Michael Gene Klein was born on December 18, 1946 to Loren and Lois Lorraine (Corcran) Klein in Waterloo. He was raised and attended school in the Dysart area; graduating from Dysart High School. 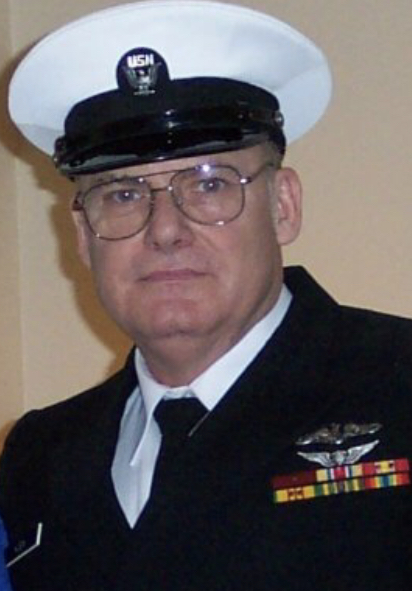 Mike served our country by enlisting in the United States Navy and the Naval Reserve from 1965-1974 as a Machinist Mate in the Nuclear Power Submarine Service, during which time he accepted the Lord, Jesus Christ, as his Savior. He married the love of his life, Cassie Felts, in Traer on December 6, 1969. Cassie joined Mike in Honolulu, HI, where the two lived until moving to Pascagoula, MS and then finally settling back to Dysart. The couple welcomed three boys into their lives and Mike was a hard-working and caring father. Mike attended Hawkeye Tech, where he received technical training. From 1981 to 1992, Mike served in the Iowa Army National Guard as the Crew Chief for UH-1M, OH-58, and AH-1F helicopters. He was also employed at John Deere as a skilled tradesman and retired after 36 years in January of 2009. Mike was active in various leadership positions for Boy Scouts, taught hunter’s safety courses, and was a devoted member of Calvary Baptist Church in Dysart. He was an avid hunter and fisherman, had a special passion for music, and loved nothing more than spending time with his family. Michael Gene Klein died on Wednesday, February 6, 2019, at the age of 72, at his home surrounded by his loving family. He is preceded in death by his parents, one brother: Ronald Klein; and one grandson: Michael. Left to cherish Mike’s memory is his wife of 49 years, Cassie Klein; his three sons: Travis (Nicole) Klein of Dysart, Michael “Shane” (Sara) Klein of La Porte City, and Sheldon (April) Klein of Dysart; one sister: Rona (Dennis) Amundson of Altoona; one sister-in-law: Joyce Klein of Des Moines; one brother-in-law: Ed (Linda) Felts of Dysart; and 9 grandchildren: Gabriel, Elizabeth, Meghan, Cora, Kaleb, Samuel, Elijah, Hayden, and Anna.